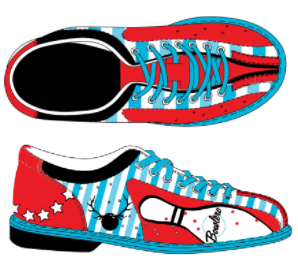 Bowlero Corp. launched the national contest as an open call to all up and coming shoe designers, creatives and bowling fanatics around the U.S. to reinvent the traditional bowling shoe. Anyone at least 18 years of age can submit their design, and in June 2018, the winner will see their shoe professionally produced and distributed to nearly 100 Bowlero and Bowlmor locations nationwide. Cash and other prizes will be awarded. Bowlero is known for upgrading the bowling experience at its centers around the U.S., with upscale amenities, trendy food and drinks, live entertainment and more. Celebrity fans of the brand include Lady Gaga, Mariah Carey, Drake, Channing Tatum, the Kardashians and Jenners, to name a few. But what hasn't changed? The shoes - until now! 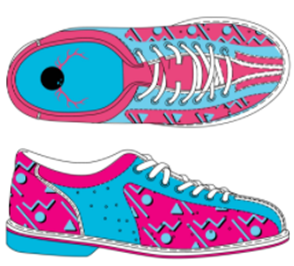 Learn more about bowling shoes here on Apparel Search. Find men's & women's bowling apparel from our retail section as well.